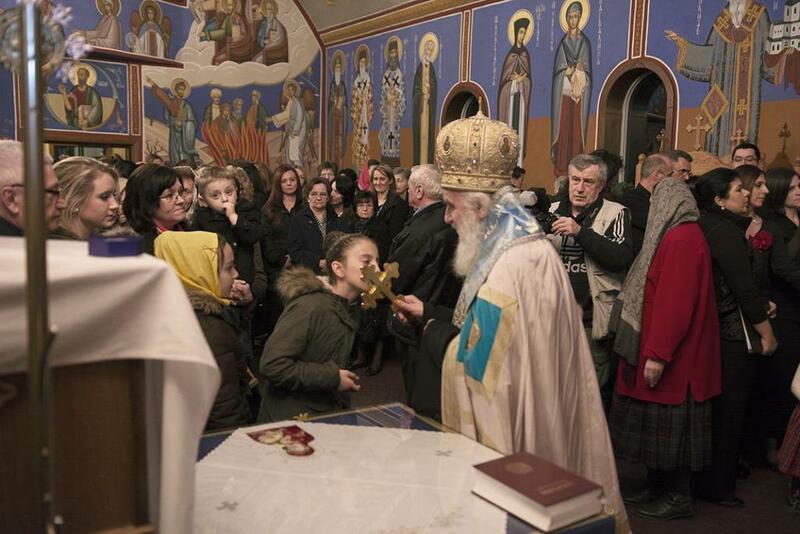 Kitchener, Ontario - His Holiness Serbian Patriarch Irinej and administrator of the Diocese of Canada made a canonical visit to the Holy Trinity church school congregation and served an Akathist to St. John of Shanghai and San Francisco, where a part of his relics is kept. The Akathist was served at 6PM with the attendance of the Episcopal Deputy V. Rev. Stavrophor Vasilije Tomic, V. Rev. Stavrophor Dragomir Ninkovic, the parish priest and V. Rev. 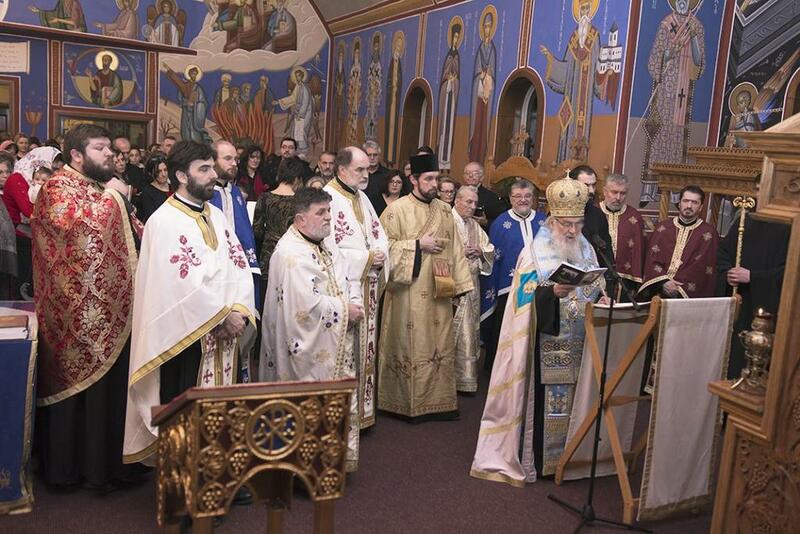 Goran Gojkovic; with six local clergy, the diocesan deacon and the Patriarch's deacon Protodeacon Damjan Bozic and many faithful and the president of the church school congregation Ljubisav Kukic and great benefactor Milan Lesic. 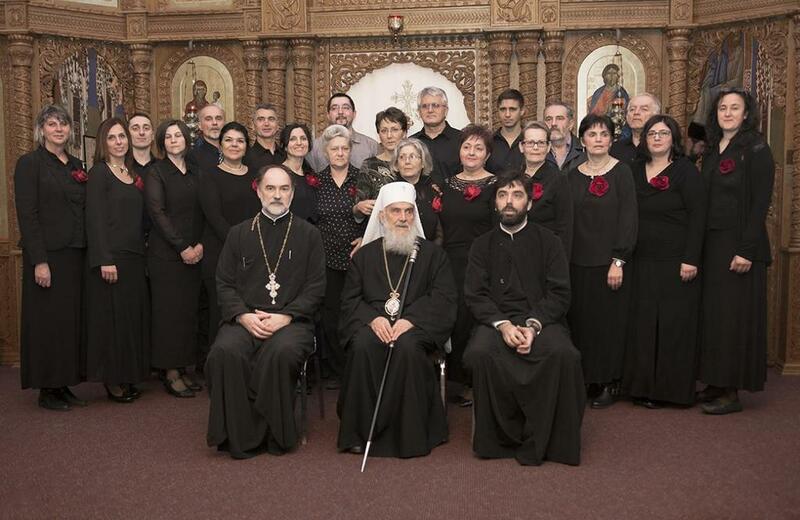 The "St. Roman the Melodist" choir sang the responses under the direction of Biljana Vazic. 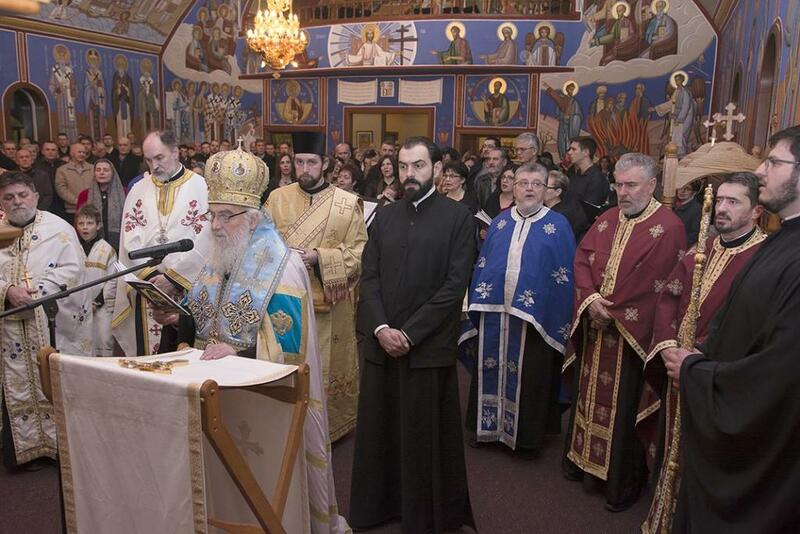 The parish priest addressed HIs Holiness, thanking him for all for all the Serbian Orthodox Church does for its people through his leadership throughout the world. The inspiring words of His Holiness were about the life and work of St. John and his wonderous works which kept the people, though far from their homeland, to preserve their faith, language, tradition and culture since it is the only guarantee of our existence in foreign lands. The remainder of the evening, during the dinner or agape meal, the folklore group "Stevan Sindjelic" and the "St. Roman the Melodist" choir, together with the children's choir "Bozuri" enterained the guests. After the closing prayer His Holiness, impressed by all that he had seen and expierenced that evening, announced that he will remember this evening for many days to come and that - not only in Belgrade but everywhere, he will witness and speak of the Holy Trinity church school congregation in Kitchener as a true example of love and great effort in preserving our faith and traditions.